Coupons & Discounts at VKLive Chicago! It’s only a few more days until the doors open at Vogue Knitting Live in Chicago! We are so excited to get to meet more NGY’ers and to unveil new colorways! Both myself and Boy Genius have been hard at work in the dye lab to ensure that there is a wide selection of colorways and bases for you to see in person and take home to love. In addition to our in stock online stash we are bringing forty-one repeatable new as well as NGY favorite colorways in quantity. Nerd Girl Yarns will be on the fourth floor in booth #308 and while you are there don’t forget to pick up a coupon for free domestic shipping on your next NGY online order. We will have plenty of promotions during the event as well, follow us on Facebook and Twitter for more coupons and deals throughout the weekend. *NGYatVKL Contest Rules: No purchase necessary to enter. 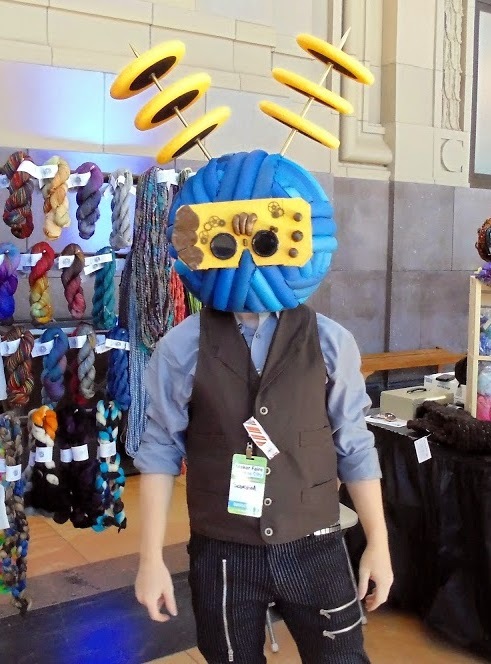 Entrants must post a photo of themselves with the Nerd Girl Yarns mascot at Vogue Knitting Live in Chicago between 4pm local time November 1st, 2013 and 2pm local time November 3rd, 2013 on Instagram or Twitter with the hashtag #NGYatVKL to be eligible to win. One entry per person, winner will be notified via Instagram and Twitter by Nerd Girl Yarns. Winner need not be present on Sunday to receive their prize but they must contact NGY by midnight November 4th to make arrangements for mailing. No prize substitutions will be made. All tweets (entries) must be within Instagram’s and Twitters Rules & policies and guidlines. Any user violating Instagram’s or Twitter’s rules will be ineligible for the contest and may be suspended by the service provider. This contest is no way sponsored, endorsed or administered by, or associated with, Instagram or Twitter. Rules subject to change without notice, by posting a photo with the #NGYatVKL hashtag and thereby entering this contest you agree be bound by these terms. ← Clearance Sale – 25% off Audacious worsted & Elegant lace!